When she became the company’s first head of marketing and communications in December 2005, she immediately hunkered down with its cofounders to decide what—and who—they were about. Unlike other video-sharing sites at the time (and it’s easy to forget now that there were hundreds), YouTube was built in Flash (every other product required people to download software), it didn’t curate long-form professional content, or take the celebrity-driven approach that many advisors were suggesting. They weren’t even particularly concerned about video quality. Celebrities and brands would follow, of course, as would that $1.65B acquisition by Google. But it was the everyday user who defined YouTube’s strategy and introduced the world to a new kind of virality. Since leaving the company in 2009, Supan has become one of the most sought-after branding experts in Silicon Valley, helping companies like Dropbox, Airbnb and Thumbtack craft their positioning prior to launch. Her first step? Identifying their target user—the high-expectation customer. 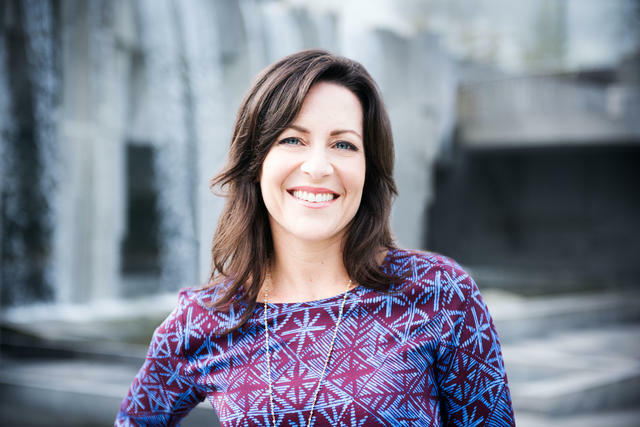 In this exclusive interview, she explains who that is, how to find them, and why every startup needs to ditch generic platitudes and start speaking to the people who will really care. “Positioning is the big bet a company is making over the long term,” says Supan. “It’s the strategy for building your business, product, and brand. It’s the clear action plan that will translate into positive revenue, happy customers and a great place to work.” Your position isn’t your messaging or your product roadmap—but it is the foundation of every decision you’ll make along the way. Who is the customer that needs/wants your service or product most? Why does your product or service matter to them? How do they feel about your product or service? What is its true benefit to them? Will your product exceed their expectations? What Supan sees more often than not, though, is the opposite approach: Early-stage founders, eager to look good for that next funding round or earn enough to make it another month, go after every possible user. They launch their products with a chorus of generalities—“We’re going to change your life!” or “Revolutionize X!”—in an attempt to be something for everyone. After all, the goal is to rack up users, and a DAU is a DAU, right? But Supan asks founders one more question—an easy one—to highlight the folly of that line of thinking: Could you do all of that on the product side? Moreover, a “see what sticks” approach in the early days can be a dangerous drain on your internal processes and staff morale. When a company lacks focus, that plays out in its day-to-day operations. “Meetings run longer, decisions get delayed. People get frustrated not having a clear strategy that they’ve bought into,” says Supan. “The high-expectation customer, or HXC, is the most discerning person within your target demographic. It’s someone who will acknowledge—and enjoy—your product or service for its greatest benefit,” says Supan. That discernment is key, because this customer is also someone who can help startups spread the word. The HXC needs to be a person who others aspire to emulate because they see them as clever, judicious and insightful. Startups like Airbnb that build a two-sided marketplace—guests and hosts, riders and drivers, buyers and sellers, etc.—may be wrangling twice the people, but their process for identifying the HXC doesn’t actually look that different. “The company does have to take a position. While Airbnb will say consistently that the hosts are their business—and that is true—the position of the company is toward the guest. It's about belonging,” says Supan. That’s not every Dropbox user; plenty of people just use their free account to share a file here and there. But that’s the idea: your HXC should not be an all-encompassing persona. “The high-expectation customer will benefit from the product's greatest attributes and spread the word. Then others will say, ‘If it works for my tech-savvy friend Lisa or if it works for Tishman Construction, which built the World Trade Center and was an early power user of Dropbox, then it will probably work for me,’" says Supan. It’s tempting to assume your early adopters are also your HXCs, but that’s not always the case—and failing to make that distinction can prove challenging to a young company. Take FlightCar, the airport car-sharing startup that matched outgoing, car-owning travelers with incoming visitors. The company’s earliest adopters were its monthly car-sharing customers—those car owners who traveled extensively and were wooed by the notion that they could earn a guaranteed monthly payment for cars that would otherwise sit idle, accruing parking fees. “Our early ads had dollar signs all over them,” says Supan, who came on to help FlightCar shift its strategy and rebuild the product last year. In parallel, another customer set was growing organically from the very beginning, which they called the standard customers, a very different type of user. Acquired by word of mouth, they were invested in the self-reliance of the sharing economy, and embraced their role as beta testers of a new concept. They were excited to save money on parking while they were away and earn a little extra money while renting their car to a visitor who came to their town. These were the high-expectation customers. Do your research. This is not the time to guess or go with gut reactions. “A significant amount of customer research is required to deeply understand what people love, what frustrates them, what they believe your greatest challenges and true benefits are, and what they wish for in the long term,” says Supan. “You might even have to create new channels and build features to capture data as people are engaging with your product or service,” she says. What are you seeing that was expected and unexpected? What direction are those results pointing you in? How does that align with your current strategy, roadmap and team? Define your customer. With your aggregated data in hand, it’s time to start sketching out the profile of your high-expectation customer. This is where you’ll identify the specific personality traits and characteristics that define the target audience. Who looks up to this person? Is this person someone people feel they can relate to or aspire to be? Can you put yourself in their shoes and see your product from their point of view? What would cause them to be disappointed by your product and what do you have to do to ensure this won’t happen? Once you’ve defined your HXC, you’re almost there. To get the most mileage out of that definition, though, you need to put it in the context of the customer’s past experiences—their consumer ecosystem and the biases they bring to your product. Otherwise put, you need to consider whether they’re coming to you with a growth mindset or a fixed mindset. If your target customer has a growth mindset, great. “In those cases, users are incredibly open. They've never tried this before, and they can't even imagine it can exist. Take the first time people discovered the most unique of spaces on Airbnb: ‘Wow, I can stay the night in a windmill?’ There’s no context for that so they are excited and amazed,” says Supan. To build anything transformative, you need a customer that's willing to give you the benefit of the doubt. If that sounds like a personal relationship, in many ways it is. After all, you’re going to be spending an enormous amount of time with this “person.” Simply put, you need to like them. And you need your team to buy into the relationship, too. On the flip side, nailing the high-expectation customer can be game-changing for a startup. “You'll actually see a physical response from your team—newfound energy—if they agreed with and were part of defining the target customer. You’ll see more urgency and a sharper focus,” says Supan. When it comes to marketing, the good news is that the work you’ve put in on the front end will quickly focus your strategy and messaging. Relieved of the burden of that “go after everyone” mindset, you can invest your sales and marketing dollars in acquiring and retaining a single customer target—they’ll take care of the rest. “There’s more objectivity in one customer sharing their passion and love for a product with another than there is in ads or promotion. It allows the company to spend less to achieve lasting growth,” says Supan. Don’t be afraid to use your HXC’s own words, too. You invested in customer data-gathering—now mine the results for the language that will resonate most. “Customers will hear their own words and say, ‘Whoa. This product is for me.’"
The high-expectation customer is the truest form of virality. “I look at Twitter, and while I wouldn’t say they got their positioning wrong, I think they skipped the step of checking back in,” says Supan. “Early on, Twitter made the call to target celebrities and other media-savvy types eager for a new way to reach their fans. It’s been a successful strategy from a PR perspective, and those celebrity superusers have certainly reaped serious branding rewards. But the company’s slow growth suggests that while regular people enjoy a glimpse of celebrity, that doesn’t mean they’ll actively use the product themselves. The goal the first time around was to achieve consensus, and that’s true the second, tenth or hundredth time you check in on the HXC, too. “You’re always working toward a state where the market, the company, and your customer are in broad agreement about what you are and why you matter,” says Supan. As your company evolves, the HXC serves as a valuable touchstone to ensure that you’re growing in the right direction and to validate — or invalidate — your action plan.